Vetsend is an online pet pharmacy that offer a huge range of products for your cat, including medication, diet food and pet care products. Your cat needs a healthy and nutritious diet to maintain a good condition. 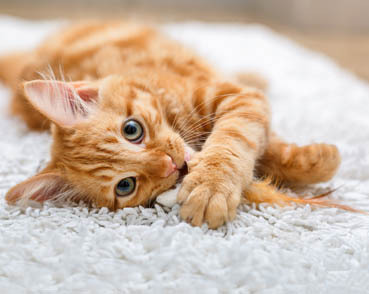 This is especially true for cats that struggle with specific issues or problems such as poor digestion, osteoarthritis, renal failure or obesity. Vetsend offers cats with these kind of issues a wide variety in Diet Cat Food. If your cat is not suffering from any health issues, then it is also possible to serve a Maintenance Food. For the top brands in cat food, please have a look at Royal Canin, Hill's, Specific, Eukanuba and Trovet. To improve and maintain your cat's health, Vetsend has divided the many care products into the categories below. For example, Feliway, which makes sure that your cat feels safe and calm in stressful events. Each product includes a detailed description. Besides food, we also have other high quality products for cats, such as feeding and drinking bowls, cat toys, scratching posts and cat beds. Make sure to check out the stylish cat litter trays from PeeWee and scratching posts from Beeztees.